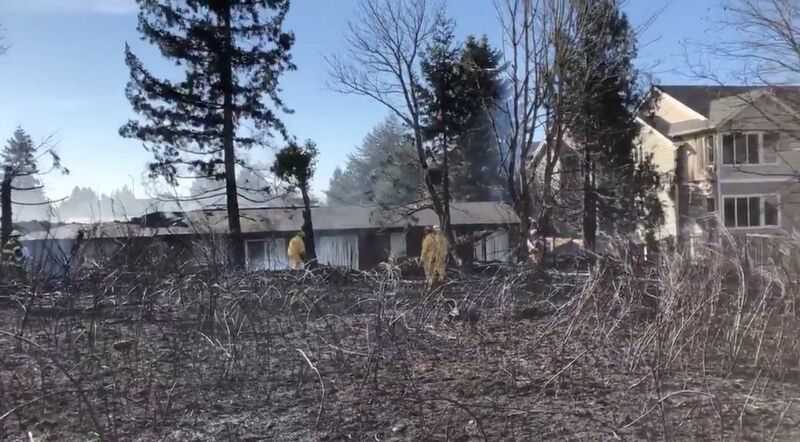 A 34-year-old man was arrested on suspicion of setting a brush fire that spread to a nearby apartment complex in White Center on Wednesday, according to the King County Sheriff’s Office. The fire, which started in the 10700 block of 14th Avenue Southwest around 3 p.m., damaged apartment units and injured three firefighters. Sheriff’s spokesman Sgt. Ryan Abbott said witnesses described seeing the suspect light the fire. Responding firefighters evacuated units in two nearby apartment complexes, said Puget Sound Regional Fire Authority spokesman Capt. Kyle Ohashi. One of the buildings caught fire after wind sent sparks onto the roof, and all seven units were damaged, Ohashi said. No occupants were injured but three firefighters were, Ohashi said. A Seattle Fire Department firefighter was sent to the hospital with injuries that were not life-threatening, while another firefighter was sent to the hospital as a precaution and one was treated at the scene, he said. 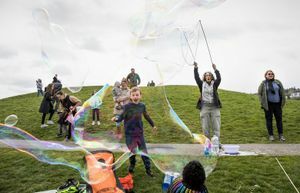 The fire was upgraded to a three-alarm less than an hour after it started because of its size and the unusually warm temperatures the region has seen this week. 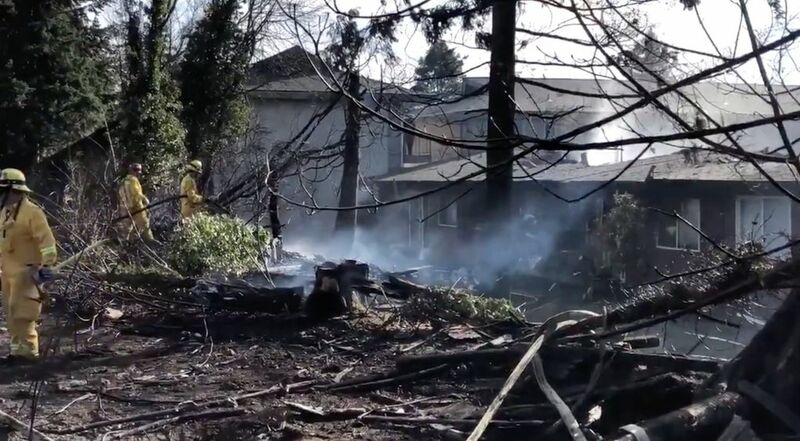 Burien firefighters received assistance from other agencies in the region, including Puget Sound Fire, Seattle Fire Department and South King Fire and Rescue. The fire was mostly extinguished by around 5 p.m., and crews worked to put out hot spots. Deputies found the suspect at the White Center Library, where they arrested him, Abbott said.